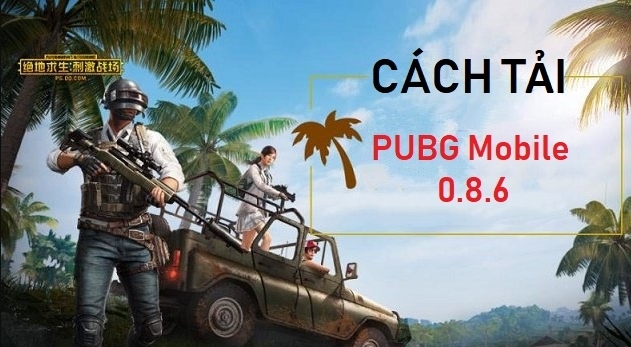 Download PUBG Mobile 0.8.6 - Cách tải PUBG Mobile Trung Quốc. PUBG Mobile 0.8.6 for Android and IOS. PUBG Mobile Chinese has version 0.8.6 with many content updates and new fascinating for gamers. You be quick to download this update for Android and iOS to enjoy more exciting. With each new update PUBG Mobile always know how to bring players the experience of surprise. Fig in version 0.8.6 also so, you will be amazed at the đôiỉ new that Tencent bring for gamers. - Step 2: go to Settings security and enable Installation from unknown Sources. - Step 3: Access the FileExplorer and click APK downloaded. - Step 5: Download the additional data. Just visit the App Store and download the update >> Link here. So as you already own the latest version 0.8.6 of PUBG Mobile China. The new point in the game is extremely attractive and has many changes, new interface, let's slowly explore. - Map Sanhok is open. Players can choose map options. - Added car UAS bulletproof and sports cars.